EU Prophecy News: Recommendation 666 Turns 15: What Really Happened? Recommendation 666 Turns 15: What Really Happened? This article is about Javier Solana. To see why I think there is strong evidence that he might be the antichrist, click here. Today, exactly 15 years ago, the Western European Union Assembly proposed the infamous Recommendation 666. The Western European Union was a 10-nation military alliance in Europe, that existed for 15 years, before finally integrating into the EU. 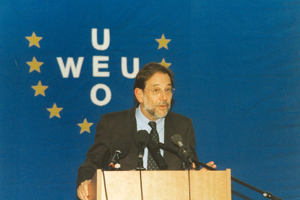 It is relatively well known that the WEU Assembly recommended new powers to Javier Solana, former High Representative of the EU, with this recommendation. But I want to further explore Recommendation 666, and the major events surrounding it. Oddly enough, I don't think I fully realized it's prophetic significance, other than the fact that Javier Solana was receiving more power. Contrary to what I believed before, this recommendation was implemented very quickly after the recommendation was given. In January 22, 2001 decision setting up the Political and Security Committee installed this power for the high representative. After consulting the Presidency and without prejudice to Article 18 of the TEU, the Secretary-General/High Representative for the CFSP may chair the PSC, especially in the event of a crisis. 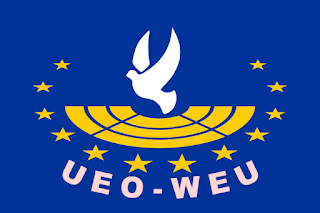 Though the WEU assembly was only a "consultative" body, it was part of the WEU organization, specifically put in place to give defence advice to the WEU Council. I didn't realize this, but Recommendation 666 came at a time of very rapid transition for the WEU. This came at a time when the WEU transferred almost all of its functions to the EU and its new Political and Security Committee. The only thing left after this was the "residual" Article V defence committment, which the WEU retained. On the day Recommendation 666 was implemented, Solana gave a speech and answered questions by those members of the Assembly who were upset that some people were going to lose their jobs! This was because of the transfer of the WEU functions to the EU. The WEU conducted military operations as the "military arm" of the EU, though technically being a separate organization. The missions they performed were not that impressive, but the range of allowable missions included the "Petersberg" crisis management tasks, which included military tasks. It seems big prophecy developments are followed by a very obvious 666 symbol. For an overview of the viewpoint of this website, and the prophetic fulfillments associated with Javier Solana, see this overview. So where does Recommendation 666 fall in? It's one of the most "obvious" 666 connections. I suggest a possibility here, and I will make my case. I formerly believed this took place at the WEU's dissolution. But bear with me. Notice how it says that the ten kings have "one purpose." This is the same phrase in Greek as "common purpose" in verse 17 later on. Literally, it is "one mind," which is how the ESV renders it. Both verse 13 and verse 17 say the same Greek phrase. I would like to point out some very interesting EU quotes to make my case. The WEU, the organisational bridge between the EU and NATO, is undertaking an audit of what assets it can pass to the EU as the latter expands its Petersberg capabilities. By the time the EU has asset-stripped the WEU the latter will be largely moribund. Building on the achievements of the WEU and the principle of European solidarity, the EU has taken on crisis management tasks since 2000 and has now developed a Common Security and Defence Policy. There's that "common purpose" that Revelation 17:17 seems to mention: the Common Security and Defence Policy. The EU is pursuing "common policies" on many subjects (agriculture, fisheries, etc), as well as defence. Interestingly, Recommendation 666 came around the time WEU Crisis management functions were integrated into the EU. The Council declaration states that in the event of the EU fulfilling its responsibility in the area of the Petersberg tasks, ‘the WEU as an organisation would have completed its purpose’. At the Cologne meeting, Member States also appointed Javier Solana, from Spain, as High Representative for the Common Foreign and Security Policy (CFSP), a post that had been created by the Treaty of Amsterdam. Remember? The ten kings have "one purpose" and give their power and authority to the beast. Which is exactly what happened. 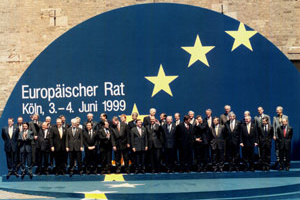 At the Cologne European Council in 1999, a lot of big integration events happened. The Bible says that the ten kings have authority with the beast for "one hour." I have always interpreted this to mean a short time. In Revelation 18 it says that Babylon's judgment comes in "one hour." Which is quite interesting, because almost as soon as Solana was appointed, they started transferring all of their functions to the EU, putting the military crisis management tasks under the PSC instead of the WEU Permanent Council. This is indeed, a very short time. And who is the leader of the PSC? Javier Solana and/or his deputies. Here is part of the explanatory memorandum on Recommendation 666.
for him to chair the PSC and coordination machinery for civilian crisis management. In contrast, the Military Committee should be chaired by a military officer. Interestingly, the WEU Permanent Council held a luncheon on June 28, 2001. Because it would no longer meet as the WEU Permanent Council. It would meet as the expanded PSC, because the 10 reps on the WEU Permanent Council were the same ambassadors as those on the PSC. Long story short, the WEU, very quickly, transferred almost all of its functions to Javier Solana. This is confirmed by the Luxembourg Declaration of November 22, 1999. The WEU was quickly on the road to becoming dormant and defunct once again. Later on the WEAG (Western European Armanents Group) closed down in 2005. It's functions were transferred to the European Defence Agency (which relates to military arms procurement) in 2005. Same with the WEU Centre for Security Studies became the EU Centre for Security Studies in 2002, as well as the WEU Satellite Centre became the EU Satellite Center that same year. To summarize the ten kings have "one purpose" and they give their "power and authority" to the beast. Now, if Solana is the AC, then he is the beast. The WEU had "one purpose" which was to get the EU to fulfill military crisis management tasks (Petersberg tasks). Furthermore, they performed the transfers to the EU, and to Solana's leadership, very quickly, in "one hour" as it were. 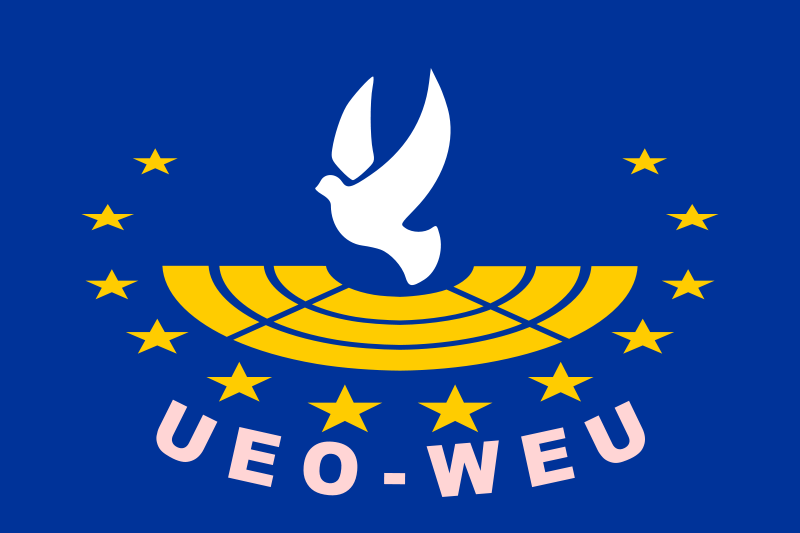 WEU dissolves itself, in light of the new Treaty of Lisbon, and the Common Security and Defence Policy. Mutual assistance pact in Treaty of Lisbon, similar to Article V of WEU Treaty, causes members to dissolve organization. Now I think we can safely say that the WEU gave its "power and authority" to Solana. Granted, the WEU didn't have much "power and authority" to begin with, but I think this prophecy has been fulfilled. It relinquished all of its decision making capabilities to the EU, with Solana at the head. The ten horns which you saw are ten kings who have not yet received a kingdom, but they receive authority as kings with the beast for one hour. 13 These have one purpose, and they give their power and authority to the beast. So here it seems that the beast (Antichrist) and his ten kings hate end times Babylon, whoever that is. They apparently violently destroy this city and "burn her up with fire." So it seems this is a military activity to say the least. Since the harlot rides the back of the beast (see Revelation 17), it seems the Antichrist and Babylon are initially allies. But this apparently doesn't last. The ten kings and beast have a "common purpose" by which they destroy end times Babylon. So it makes sense this common purpose is in the military domain (hence, a common purpose on defence issues: Common Security and Defence Policy). The EU has a common policy on defence, but its not very impressive, and exists mostly on paper. They do conduct some military missions, not the least of which is the new EUNAVFOR Med operation about to be launched, which is supposedly the most ambitious one they have ever done. However, national capitals dictate their own defence policies for the most part. If the EU launches an operation, they don't necessarily provide all of the resources needed for the mission! Even Solana back in the day had to resort to phoning each of the countries, asking for a field surgeon or transport plane. For God has put it in their hearts to execute His [i]purpose by having a common purpose, and by giving their kingdom to the beast, until the words of God will be fulfilled. God puts it in their hearts to do his purpose by them having a "common purpose" and ceding their sovereignty to the beast. Since it fast forwards to Babylon's destruction, it might not be the same moment as Revelation 17:12-13, though it sounds similar. Both the repetition and the "fast forward" to an event definitely future, I think, allow for this. So using our Solana/WEU lens, its extraordinarily interesting that he issued some proposals to the European Council for their meeting in June, on how to build a European Defence Union. This would entail a loss of sovereignty to the member states. Germany apparently backs the plan for a "European Defence Union." Solana has been out of politics for five years. So its rather remarkable he may be in the process of making a comeback. Not only did he chair this think tank, he also said that he will put all of his energies left into EU defence integration. "Defence integration" is what was happening when the WEU was merging with the EU. "Defence integration" is what happens when sovereignty is ceded to the EU in defence matters. The dissolution of the WEU in March 2010 was just the nail in the coffin, and the start of the ceding of sovereignty to the EU. At the Treaty of Lisbon, more sovereignty was ceded to Brussels. The only remaining vestige of the WEU was the Article V self-defence clause. After the Lisbon treaty, they saw no more need for this. However, though sovereignty was ceded at Lisbon, defence remains one of the most "intergovernmental" aspects of the EU, as opposed to "supranational." In short, sovereignty over defence remains with the member states. 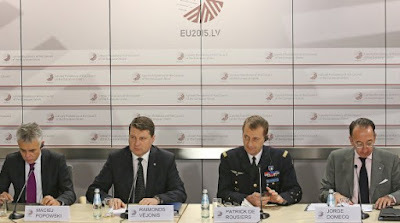 However, at the June 2015 European Council, they want to increase defence cooperation. Despite vocal opposition from some, many EU officials are fully ready to become on board for the integration of EU armies. Solana needs a job if he's the AC. Preferrably, not a terribly demanding job. After all, he is almost 73. (He has a ton of energy at his age, but still). Will he be High Representative in the future? Maybe. Will he be some other job? Maybe. Hard to say. If he is going to make a powerful comeback before the next High Representative is nominated, what are some options for positions he could hold? Go back to recommendation 666 explanatory memorandum. What else did it propose, even more than once, in addition to the powers granted in Recommendation 666? 33. A more technical aspect, but one with political implications for the decision-making process, is who should in future preside over the forums that have to take the necessary decisions on the Common European Security and Defence Policy (CESDP), specifically the General Affairs Council expanded to include defence ministers and the Political and Security Committee (PSC). There is no "Council of Defence Ministers" that meets formally and has voting rights. It is not a new recommendation, but Solana and crew propose the creation of such a group. 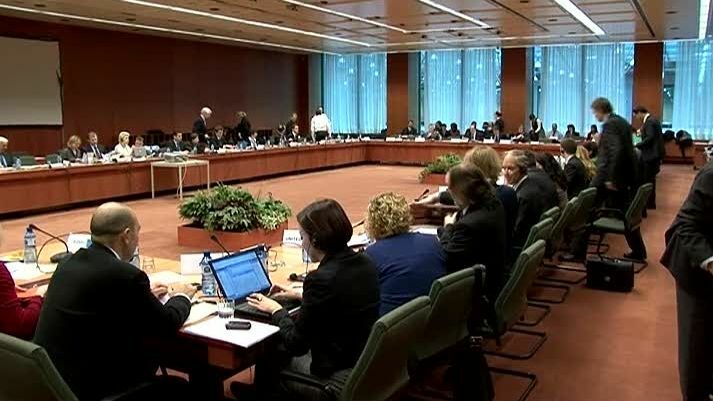 They propose a Eurogroup of Defence Ministers, that includes the willing and able within the field of defence. Much like the Eurogroup for finance, it leaves behind those who don't wish to participate. Which is interesting, because of this article's address and contents. It contains many similar wordings as in Solana's proposal. (Learn more about that here). In the Solana document, he proposes a second chair to a newly created Eurogroup of Defence ministers, in addition to the high representative. He also proposes a deputy to the HR be put in full time charge of the Common Security and Defence Policy (again, not a new idea). In the past, at the European Convention for the European Constitution, proposals were tabled for a "Mr ESDP" who would be a deputy for Solana. This person would: Chair the PSC, and chair the new Council of Defence ministers. However, it didn't make it into the final proposals. Interestingly enough, Solana was actually against the "double hatted" HR/VP position that exists today! He opposed the "double hatted" job which would merge the Commission and the EEAS. Despite being happy he was going to be the next foreign minister, he did oppose this move. Perhaps (pure speculation) he will find a way to bifurcate the defence component of the EU into his own future position. What else does Solana propose? A group of 'like-minded" member states to come to deeper cooperation in defence, through the Permanent Structured Cooperation mechanism. Remember. The ten kings, they have "one mind" (ESV) and give their royal power to the beast. I don't know what is going to happen at the end of June, if Solana will make a dramatic comeback, or if they will create a new position, and only later (like in December) install him into it. Or maybe nothing will happen. I'm not sure. But I do know the suspense is killing me. Come Lord Jesus! He can't come soon enough! Though we (and especially me) are undeserving, yet we wait for him. Paul Henri-Spaak (1899-1972)) about a man at the helm to order world affairs is being groomed and readied as we speak. i praise God for the Blessed Hope that is only found in Jesus Christ the LORD. God bless you and may He continue to speak His wisdom to your heart and mind and strengthen your heart against all discouragement the world can dish out. Great to hear from you as always Andre'. I apologize once again for my delayed response. Thank you very much for your insights and encouraging words. I also praise God for the Blessed Hope, that one day will belong to all of us (and does even now belong to us, with Christ in our hearts). I have had this feeling that I will "miss out" on the second coming and prophecy if I die before it happens (hopefully not anytime soon, but I digress). But no one misses it, we are all alive during it, since we will be either living or raised from the dead the moment it takes place. In my heart, there is a great longing for the end, and the terminus, the Second Coming of Jesus Christ himself. I cannot wait to see what the EUCO will bring in a couple weeks. I have waited for months. It is unwise to put too many eggs in one basket with these EUCO meetings, but I am excited nonetheless. You are quite right a lot is happening this fall. The ENP review will be completed this autumn, as well as the EEAS review. The launch of the European Security Strategy review process will launch in a couple weeks. Not to mention all of those things (as you mentioned) that lie outside of the EU, but are strongly connected to the broader prophetic framework. I beg God for some certainty. As odd as it sounds, I am "nostalgic" for the original ENPI theory, a theory which I am grateful we may never have to give up. the EU politicians (and Solana himself) in their most ambitious moments talk of being a "security provider" in the neighborhood. There are even some hints, from Solana's report and the EU council, of a desire to merge military elements (i.e. being a "security provider" in the neighborhood) with the ENP (the 7 year covenant). May be those who anticipated a 7 year security agreement (including, evidently, Herb Peters himself before the ENPI theory) may not have been so wrong after all. As another commenter said, in the coming days we won't have to put together this theory with our own cleverness, because God is the "builder." I hope and pray that he will show us something far beyond what we can imagine. God bless and strengthen your heart as well Andre'! Blessings to you and courage for your heart. If this theory is true we will need all of the courage we can get. Not all of the prophecies related to Christ's first advent were so clear then or even now. Also it may have been God's mercy that the first ENP theory came first. Without it we would have little to cause us to look at these events so closely. Most others are busy with the Islamic AntiChrist theory. 1) If a genuine knee knocking scary emergency crisis hits the EU ...will Javier be in a tiki hut in Spain at the Beach or will it be likley he is trying to help? 2) If a genuine scary life threatening emergency hits the EU will the EU consider Javier as someone to consult? The answer is yes to both questions. It is either God's time or it is not. If it is... Javier will be involved and the one to watch. I agree with you. Indeed, he was in the news yet again, interviewed by Euractiv's chief Germany editor. It is an interesting read. Apparently (as I kind of suspected) Solana has been going on tour, and has visited many of the country's capitals on a "Road show" advocating for further defence integration. He goes to all these think tanks and meetings in different places and advocates it. he even was here in the US a few weeks ago. I agree with you. It does not look like he is seeking emergency powers to convene the Tiki hut margarita council in the event of an emergency. He seems very passionate about pushing this process forward, as he has admitted himself. But now, this week, the big meeting is happening. We will get to see if this meeting is a total flop, or if something truly interesting happens. May God give us wisdom to understand, and grace in our failings.